Apple will not be forced to share details of its next-generation iPhone and iPad devices with rival smartphone manufacturer Samsung in the near future, after the judge presiding over its lawsuit admitted the Korean vendor was overreaching with its request, FOSSpatents reports. With Apple’s previous motion to get access to Samsung’s latest products approved, the Korean electronics giant issued the same request claiming that it was equally legitimate as its Cupertino-based rival, and only yesterday was an initial decision reached. On Tuesday, judge Lucy Koh decided that Samsung’s motion would be denied in the short-term, noting that Apple’s request was more justified and that Samsung’s request to see its rivals newest devices was not equal to Apple’s request to receive samples of devices that had already been handed out to members of the public. As a result, the judge deemed Samsung to be overreaching, despite its entitlement to “parity” in the case. Unfortunately for Apple, the issued court order suggests the company will not be able to get a preliminary injunction against the sale of certain Samsung products in the US. 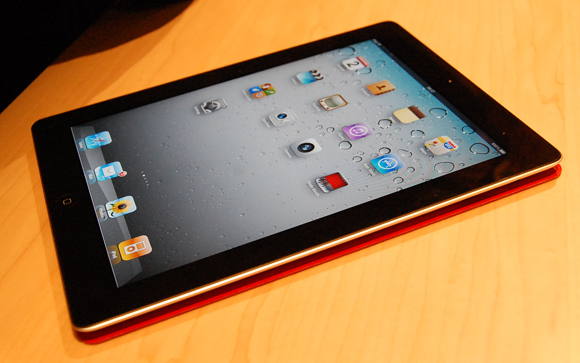 The court may be forced to evaluate sales when Apple can present its iPhone 5 and iPad 3 devices, whenever that may be. If Apple can present the iPhone 5 to the court and show that the alleged problem of “consumer confusion” is essentially the same as currently (in terms of similarities between the Galaxy handset and the iPhone 4), Apple’s motion for an injunction is no less likely to succeed (though it’s clear that Samsung would try to overstate any possible differences in design). It looks as if a decision could be reached for the iPad before the iPhone if Apple proceeds with caution, with Mueller believing an sales injunction against Samsung could be risking for the Cupertino-based company.